The National Transportation Safety Board and the National Safety Council will host an expert panel and roundtable from 8:30 a.m. to 5 p.m. Thursday, Oct. 27, at the NTSB Board Room and Conference Center, 429 L’Enfant Plaza, S.W., Washington, D.C. 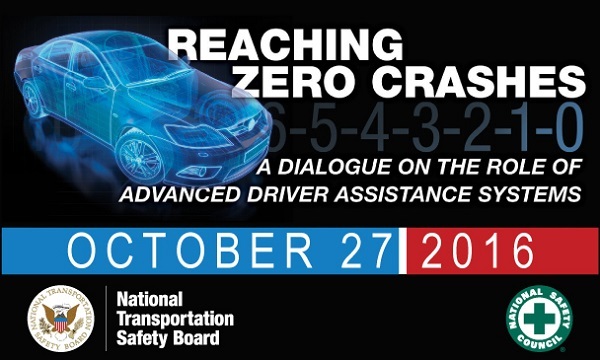 The event, Reaching Zero Crashes: A Dialogue on the Role of Advanced Driver Assistance Systems, will be streamed via live webcast. The link to the webcast will be available shortly before the event begins. Motor vehicle crashes continue to be a leading cause of preventable death in the United States, and they are on the rise. According to the National Highway Traffic Safety Administration, motor vehicle fatalities were more than 7% higher in 2015 than 2014 – the highest year-over-year percentage increase in 50 years. All of these deaths were preventable. 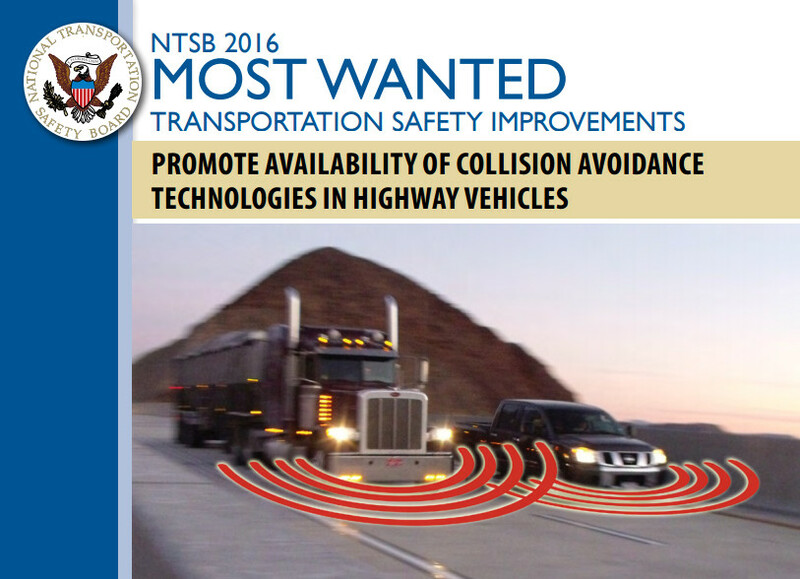 Advanced driver-assist technologies can play a significant role in saving lives. The NTSB and NSC have identified the need for a broader discussion on ADAS as the driving landscape shifts and vehicles of all types are increasingly equipped with technologies that can save lives but also confuse drivers. On Oct. 27, the NTSB and NSC will convene researchers, government officials, media, associations and industry leaders to discuss these issues.